Love the color, the jacket fits my granddaughter perfectly, it feels warm and snuggly and the price was right. I was amazed that it only took 2 days for her to receive it. Stay warm on the playground or on the way to class with this Maverick kids leather jacket. 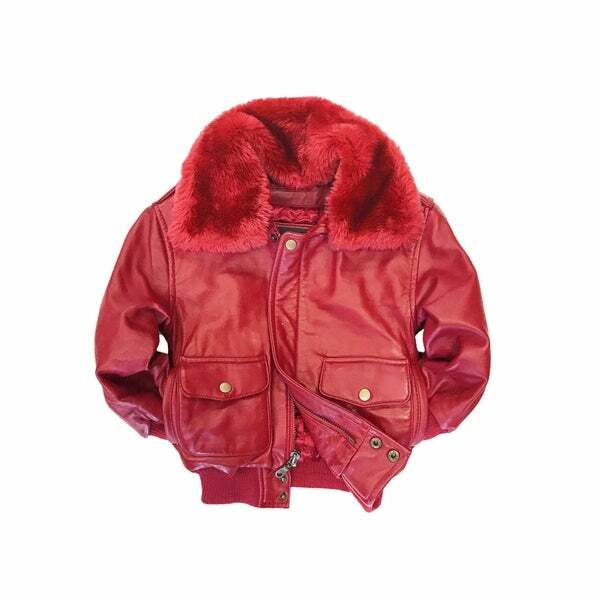 This red jacket sports a detachable fur collar for a fun look and has multiple pockets for carrying found treasures. The color was rich. Fit nicely. Cancel the other one. It was the wrong size!